In the mist of Christmas and it being God's holy birthday and all I decided to do it big and get my self a rental car to go see the family. What better place to get a car than through Avis. They had a great rate from a coupon being sponsored where you get a weekend free when renting for 7 days or more so I took advantage of the savings! I got a ride for my wife and I to use and it was a beast! 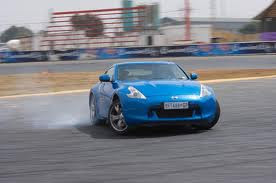 We rented a 6 speed Nissan 370z and it was a demon and a half. It has 3.7 liters of japaneese fury and boy did we let it loose. We slapped around all the cars on the road that we passed. It was so fun to drive around and enjoy that I just may buy one when I get home. There is no other ride like it to say the least. It had enough cargo area to fit our luggage in the boot and then some! I highly recommend this car when you are looking for a small rental car that is fun drive. So the wife and I set out on our 6 hour car ride to meet the family in south florida. It was a perfect day for a drive too. We rode the with windows down blasting that Young Jeezy as we barrelled down i-95 in attempt to get there as soon as possible. We ended up making good time and getting there early. When we got the family's hous we enjoyed a feast and a half. They had prepared some the best food in the world! We had some spare ribs that were slow roasted and basted in bbq sauce. Also we had ton of chicken and rib roast to dig into. Sides included: green bean casserole, mac n cheese, southern mac n cheese, fries, grits, potatoes, baked potatoes, sweet potatoes, salad, macaronni salad, potato salad, cheese casserole, corn, dumplings, green beans and rolls. Just in sides it was enough to feed an army lol. The desserts were just as amazing. We enjoyed chocolate pie, apple pie, pumpkin pie, cheese cake, carrot cake and ice creams. We have a large family so a lot of food was neccessary. The family was happy to get together and we shared laughs and stories as the hours dragged on. We ended up leaving that night to make it home in time for christmas morning. It was a good time and I hope to do it again next year!